Welcome back for another Food Friday! Remember when I posted Jalapeno Poppers? Well we had a LOT of spare wonton wrappers and I wanted to use them because if you let a wonton wrapper out of it's package for too long, it begins to harden and be unuseable. So, use the spares. 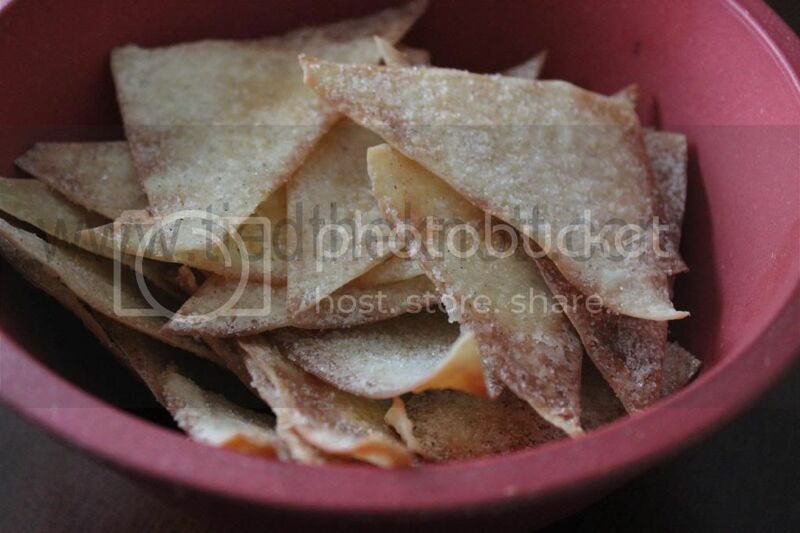 I decided to make Cinnamon Sugar Crisps. 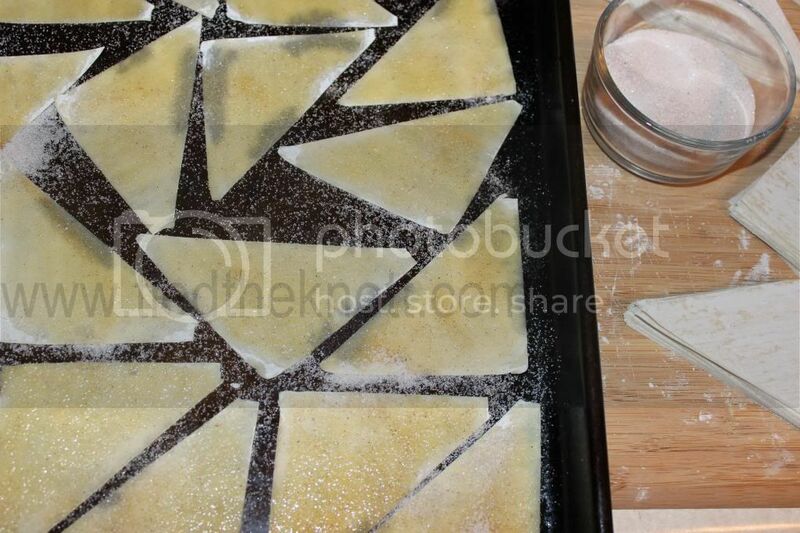 Spread out the wonton wrappers on an un-greased cookie sheet. With a basting brush, brush the butter on one side of the wonton wrapper. Sprinkle with the cinnamon sugar and put in the oven at 350* for 5 minutes or until they start to turn a light golden color. Cheap, easy, and SUPER delicious. Yumm!! Pinning this right away!